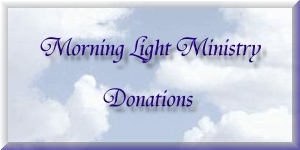 DONATIONS TO MORNING LIGHT MINISTRY ARE ALWAYS GRATEFULLY ACCEPTED. IF YOU WOULD LIKE A TAX RECEIPT FOR A DONATION OVER $10.00 PLEASE MAKE THE CHEQUE PAYABLE TO "ST. MARY STAR OF THE SEA CHURCH" AND ASK THEM TO DIRECT THE DONATION TO MORNING LIGHT MINISTRY. FOR DONATIONS FROM OUTSIDE CANADA YOU WILL NEED TO CHECK WITH YOUR OWN TAX SYSTEM TO SEE IF YOU CAN USE A CANADIAN TAX RECEIPT. Morning Light Ministry is a grassroots, volunteer ministry which relies on donations to be able to help bereaved parents (for example, sending free mementos in loving memory of their baby). Morning Light Ministry is offering specially-made prayer/meditation cards that the bereaved parent can purchase or family and friends can purchase as a gift for a bereaved parent. These prayer/meditation cards have been designed so that they can fit into a wallet, purse or pocket to bring a grieving parent some comfort as he/she continues on his/her daily journey. We are planning on offering a series of prayer/meditation cards. We have used original photos and original prayers from Morning Light Ministry. Many parents have shared over the years that these Morning Light Ministry prayers have brought them great comfort on their grief journeys. We want to thank Jackie Lorusso, mother of Oscar, for helping us create these beautiful prayer/meditation cards. To purchase the prayer/meditation cards please contact morninglightministry@rogers.com or morninglightministry@yahoo.ca or phone us at 647-781-9300 (Eastern Standard Time) to order the cards. 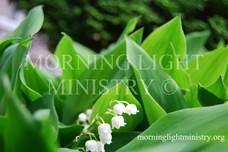 Front of prayer/meditation card: A small cluster of the white flower, lily-of-the-valley amidst its vibrant green leaves. Photo credit: Geralyn Krowles, mother of Baby Audrey Marie. Back of prayer/meditation card: The prayer “Dear Mary” by Bernadette Zambri, mother of Stéphanie, from the “Morning Light “ book. This prayer has been used by many bereaved parents to find comfort in their deep sorrow after the loss of their child. The prayer describes that Mary was a grieving parent and gives hope to bereaved parents that their children are not lost but are living in the Lord and one day the bereaved parents will be reunited with their children in heaven. 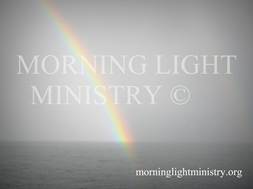 Front of prayer/meditation card: A rainbow is bringing beauty and light into a darkened scene of sky and water. The rainbow has always been seen as a sign of hope throughout history. 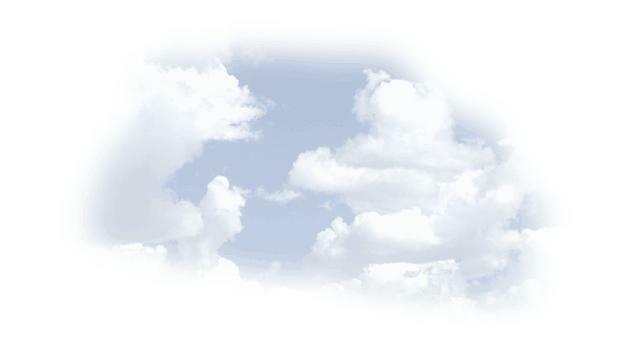 “I have set My bow in the clouds, and it shall be a sign of the covenant between Me and the earth.” (Genesis 9: 13) It is a sign of God’s presence with each bereaved parent as he/she tries to navigate the often overwhelming grief journey. Photo credit: Geralyn Krowles, mother of Baby Audrey Marie. Back of prayer/meditation card: The prayer “A Grieving Parent’s Prayer” by Bernadette Zambri, mother of Stéphanie, from the “Morning Light” book. (also posted on our website at morninglightministry.org) Bernadette wrote this prayer when her grief was still very “raw” about 10 months after the death of her baby who died from a full-term stillbirth. She was totally lost and could not feel God’s presence. Bernadette felt that God had deserted her. In her sheer desperation, she wrote this prayer of anguish “I feel unable to pray-I need Your insight in new ways to pray. I feel abandoned-I need to feel your warmth…” This prayer has brought much comfort to bereaved parents around the world and has been used in many services. Many bereaved mothers and fathers relate to the deep, deep pain and sorrow expressed in this poem. As a continuation of this series, we introduce 3 additional prayer/meditation cards that are not laminated. Each of these prayer/meditation cards have a photo on the front and a different prayer on the back. Also on the back of each there is “In Loving Memory Of _________________” which includes a space to put the name of the baby/older child who has died. For an additional $1.00 we will put your baby’s name on the card with a clear sticker and then laminate it before we send it to you. Or, if you prefer to write the name on yourself we can send you the unnamed and unlaminated prayer/meditation card. 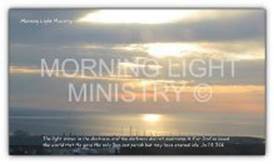 Front of prayer/meditation card: This original photo was taken in April, 2013 by Bernadette Zambri, Co-founder of Morning Light Ministry. When her daughter Stéphanie died as a full-term stillborn she was devastated and felt in deep despair for many months. Bernadette felt that God was nowhere to be found. It was a lonely journey. But as she gradually started her journey back to God she was inspired by the awesome sunrises over Lake Ontario, in Port Credit, Ontario, Canada. This photo is an example of those awesome sunrises where the early morning sun is shining through the clouds with the soft hues of orange and gold in the background. The Bible passage from John 1:5; 3:16 emphasizes that Christ is the light of the world. Back of prayer/meditation card: A respect and celebration of every baby from conception. “In Loving Memory Of _________________” (space for your baby’s name) For an additional $1.00 we will put your baby’s name on the card with a clear sticker and then laminate it before we send it to you. Or, if you prefer to write the name on yourself we can send you the unnamed and unlaminated prayer/meditation card. 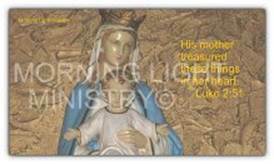 Front of prayer/meditation card: This statue of Mary and her baby son Jesus is situated in St. Mary Star of The Sea Church in Port Credit, Ontario, Canada. “His mother treasured these things in her heart” Luke 2:51 As bereaved parents, we miss our children terribly but we also treasure his/her life no matter how long the “stay on earth”. Back of prayer/meditation card: “A Prayer For Bereaved Mothers”. “In Loving Memory Of _________________” (space for your baby’s name) For an additional $1.00 we will put your baby’s name on the card with a clear sticker and then laminate it before we send it to you. Or, if you prefer to write the name on yourself we can send you the unnamed and unlaminated prayer/meditation card. Back of prayer/meditation card: “A Prayer For Bereaved Fathers”. 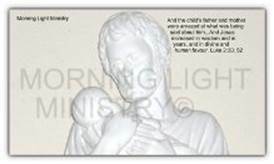 “In Loving Memory Of _________________” (space for your baby’s name) For an additional $1.00 we will put your baby’s name on the card with a clear sticker and then laminate it before we send it to you. Or, if you prefer to write the name on yourself we can send you the unnamed and unlaminated prayer/meditation card. Please click HERE to download and print an order donation form.